Design your own incredibly soft and functional Minky baby blanket. Your baby will enjoy the snuggly warmth of this "bunny soft" blanket. Choose your colors and we'll create a custom handcrafted Minky blanket for that special bundle of joy in your life! Functionality meets fashion with this scrumptiously soft handcrafted Minky blanket. Your baby will be stylish and beautiful as well as snuggly warm wrapped in this double-sided Minky blanket embellished with our 3" satin ruffle. Our satin ruffles are handcrafted in our shop using top quality satin. Each blanket comes folded, bowed with Tulle and wrapped in tissue. Click the fabric link below to view over 200 Minky fabric choices for your blanket. Then type your fabric choice for top, bottom, and border colors in the spaces provided. The Minky border on this blanket will be a 4" strip of coordinating Minky fabric of your choice at each end of the blanket on the "Top" side. If you would like a border choose the "yes" option. This blanket comes embellished with our 3" handcrafted satin ruffle. Choose your fabrics....we'll do the rest! Make your gift more unique and special with professional personalized monogramming! 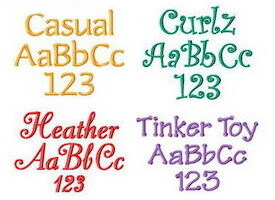 Monograms on our baby blankets are 1.5" - 2" depending on the font and can be one or two lines. Type the name you want monogrammed in line 1. If you wish to include a birth date, type the date in line 2. The date will be centered directly under the name. Unless specified otherwise, all monogramming will appear diagonally in the lower right corner of blanket. This monogram price includes two names and a birthdate. If you wish to add a special phrase to your monogram, please contact us for a custom quote. Please allow 2 weeks production time on all custom orders. This item is not available as a "Rush Order".